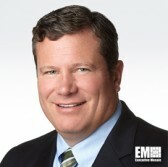 Steve Harris, senior vice president and general manager of Dell EMC’s federal business, has said federal agencies need a long-term plan for digital transformation in order to reduce technical debt and leverage the Technology Modernization Fund through the Modernizing Government Technology Act. Harris wrote in a FedScoop article posted Thursday organizations accumulate technical debt through stop-gap approaches to IT and agencies should mitigate that through investment in cloud-ready infrastructure. He called on agencies to adopt automation in IT operations and use “newer, faster model of operations” through collaboration with industry. “A hybrid cloud environment can help agencies in supporting this, making it possible to select the approach best suited for an individual workload and preventing agencies from getting locked into an environment that might not support long-term needs,” he added.